We are proud to have achieved 100% customer satisfaction and will make sure your needs are met with the utmost dedication as we strive to provide you with the best service in the Charlotte area. Our staff is friendly, well-trained and excels at serving our customers. AAA Window Cleaning & Window Solutions, owned and operated by Dean Randall, has helped brighten the lives of North Carolinians since 1996. After serving over 20,000 residential and commercial properties in the Charlotte area since our first day of operation, we have built a reputation for efficiency and friendliness for all window cleaning and tinting services, gutter cleaning, and powerwashing. We are a family owned and operated business. My wife and I wanted to start a business that allowed us to work together, interact with and get to know our community, and work to increase the beauty of homes. We take pride and great care in our work. Contact us today to see if we can help with your window cleaning needs! 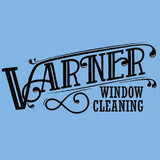 Varner Window Cleaning, LLC is fully licensed and insured. All Pro Window Cleaning is committed to providing Charlotte NC and the surrounding area with the best window cleaning service available. Customer service is what drives us to go the extra mile for our customers and to go above and beyond on every job. We are licensed/insured, we show up ON TIME as scheduled, we always present a neat and professional appearance, and we have the proper tools and more importantly the know how to tackle your job!! Let us show you why we are Charlotte's Elite Window Cleaners today!! 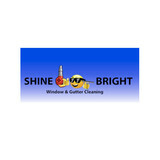 Shine Bright Window & Gutter Cleaning strives to make your home stand out from the others. We use powerful cleaning equipment to deliver a thorough clean from top to bottom, whether it be for your deck, windows, or patio. With over 18 years of experience in the industry, it’s no wonder that we’re the leading window and gutter cleaning company to call on for North and South Carolina residents. I have been in the Window Cleaning business since 2003 and I take great pride in my work and customer satisfaction! Queen City Window specializes in maintaining your homes beauty though window cleaning,pressure washing and gutter cleaning. Our overall goal is to provide a great experience for our customers through quality that you demand and top notch customer service. Our attention to detail will exceed your expectations while cleaning your home. So let the experience begin and let us earn your business for a lifetime. Queen City Window Cleaning is here to help you today! We started our company back in 2007 in Racine, WI and it was called USI. At our peak we had a staff of 10 and a fleet of trucks. We had built a company on client satisfaction, and we were the number one window cleaning and pressure washing company in the city. My family and I visited friends here in Mooresville, NC during the fourth of July in 2015. After being here a week, we knew this is where our family wanted to be. Once the decision was made, the process of selling our business had started. Our operations officer at the time was Steve. He was and still is the best employee we had ever had. For everything he gave to us, we wanted to give back to him. We struck a deal and moved to Mooresville. Once here, I started to buy the equipment to build out another company. And within a month we were in business, with the same focus as in Wisconsin. People come first. As we grow here, starting from the beginning, we are able to build Southwash with an amazing foundation of knowledge and focus. We are proud of what we had built and excited to build it again. Customer happiness is a cliche’ for most companies, but it is the reality for us. After all Southwash is being built on it. We provide gutter cleaning, pressure washing and window cleaning services to the Greater Charlotte Metropolitan Area. A little about AAA Window Cleaning: •We are fully licensed, bonded and insured. •21 years in business family owned and operated. •A+ Rating with the Better Business Bureau of the Southern Piedmont. •All field personnel are full-time employees operating out of company vehicles. We invite you to check us out at www.aaawindowsolutions.com.